The exams for the direct recruitment of Agri-Supervisor and Supervisor (Anganwari) have been postponed by the Rajasthan Subordinate and Ministerial Services Selection Board (RSMSSB). The reason for the postponement has not been disclosed yet by the board for the Agri Supervisor Direct Recruitment Exam 2018 and Supervisor (women) Anganwari Direct Recruitment Exam 2018. The exams have been postponed due to the unavoidable reasons. 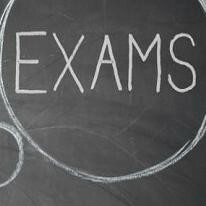 The dates for the exam will be notified soon on the RSMSSB website soon. The direct recruitment of the Agri Supervisor exam was scheduled to be on February 10, 2019, and is due to be conducted in Jaipur and Kota. Rajasthan Subordinate & Ministerial Services Selection Board (RSMSSB) Jaipur invites application for the post of 62 investigators. RSMSSB Recruitment Qualification/ eligibility conditions, how to apply & other rules are given below. The official website is www.rsmssb.rajasthan.gov.in. The pay scale is based on the pay Matrix Level-10. Area wise vacancy details TSP Area- 06 and Non-TSP Area- 56. Eligibility Criteria is Graduate degree in Maths or Statistics or Junior Certificate of the Agricultural Research Statistics institution ICAR. Application fee: pay the fee through credit card/ debit card/ net banking/ E Mitra Kiosk. How to apply: Interested candidates may apply online through the RSMSSB’s website rsmssb.rajasthan.gov.in from 24.01.2019 to 23.02.2019.